We have two room left available for rent in our three bedroom fully furnished penthouse apartment from the 8th July - 1st December 2014 while my partner and I are overseas. You'll be sharing with one other male so far, but two housemates in total. The male is happy to take any of the rooms so the all three rooms are avaialble for viewing. Room 1 with shared bathroom $275 p/w Room 2 (listed here) with shared bathroom $285 p/w Master bedroom with ensuite $350 p/w *All prices include a weekly cleaner *Utilities and Internet not included in price. Located on the top two floors of the historic Love & Lewis building this fully renovated warehouse style Penthouse apartment is exceptional and unique. Walk into a formal entry opening up into a communal study completed with home computer for your use. All bedrooms and bathrooms are also located on the lower level. 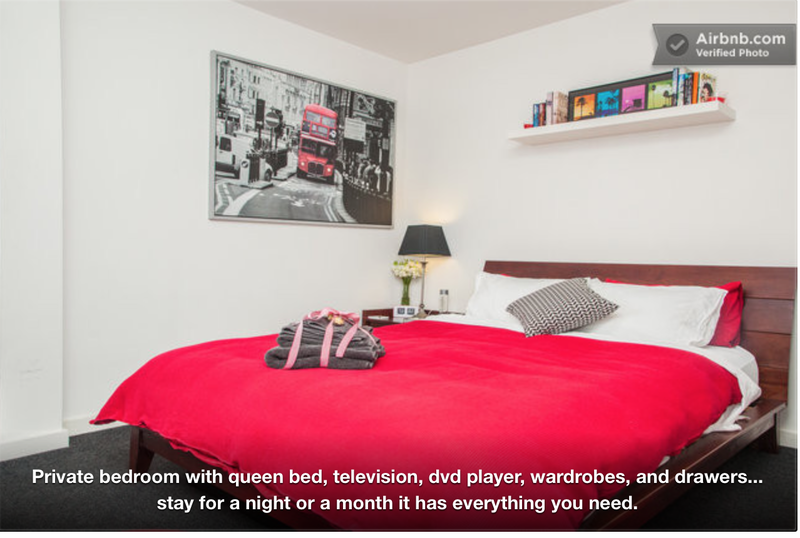 Room 1 and 2 are equipped with a comfortable queen size bed, TV & DVD player, wardrobes and drawers. A common bathroom is shared by rooms 1 and 2 has rain head shower over full bath, washer & dryer (in cupboard) and plenty storage space. The master bedroom is fully equipped with a comfortable queen size bed, 50 inch high definition TV & DVD player, walk in robe, private ensuite and private balcony where if you are up early enough you can sit and watch the sunrise. The ensuite bathroom has large rain head shower and glass shelves for your bathroom necessities. The top floor is a huge open plan area and includes the kitchen, two living areas, a dining space, and a private balcony. With floor to ceiling windows on two sides, you get great views of the sun rising over the Dandenong Ranges right around to where it sets in Port Phillip Bay. A private balcony with BBQ and herb garden overlooks the famous Chapel Street so you'll get a birds eye view of the shopping, restaurants, and nightlife below, but still be high up enough not to hear it. The kitchen is fully equipped with everything you could possibly need including all the basics such as kettle, toaster, pots & pans etc,. With four major supermarkets right downstairs including the famous Prahran Market every ingredient you might want and some you’ve probably never heard of are right at your fingertips. Chapel Street is arguably the best place to live in Melbourne, as it’s central and renowned for it’s great shopping, restaurants, nightlife, entertainment, and more. When applying please specify what room you are interested in if you have others you want to move in with and a little bit about yourself. Please contact me as soon as possible to arrange an inspection as this opportunity won't last long.